Objective: Assess whether congresses affect participant behaviour and/or activities. Method: The International Cancer Control Congresses (ICCCs) provided a “natural experiment” to assess the value of international conferences and examine ways to influence positive change, policy and practice to enhance cancer control. We studied the responses of registered participants for two Congresses (ICCC–3 and ICCC–4) using the primary data collection instrument as self-report surveys, on-site surveys and follow-up surveys a few months later on the same census sample of participants. Results: Most respondents gained professionally through improved understanding of global population-based cancer control programmes and new insights into cancer control. Through sharing best practices and insights gained at the Congress in their jurisdictions, many increased awareness for establishing collaborations, implementing surveillance systems and expediting integrated national cancer and noncommunicable disease plans. Participants continued to experience increased interest and involvement in cancer control through their networks. Conclusions: Findings revealed that it takes time before initiatives emerge that derive from ICCC-attributable participation. Longitudinal cohort studies could offer greater insight into factors influencing the value of conferences and establishing contribution to cancer control activities. Noncommunicable diseases, including cancer, are one of the most serious health challenges the world faces today. By 2030, deaths from noncommunicable diseases (NCDs) are expected to account for 69% of all global deaths with cancer deaths increasing to 11.8 million from 7.4 million in 2008 (1). At present, NCDs are responsible for about 63% of global deaths – 36 million of 57 million global deaths, with greater than 60% occurring in lower- and middle-income countries (LMICs) resulting from population ageing, urbanization and globalization of risk factors (2,3). 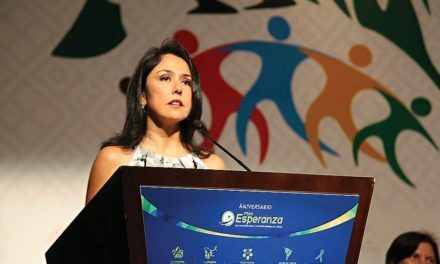 A global call for action to reduce the impact of NCDs, including cancer, by 25% by 2025 propelled the development of the Global Action Plan 2013–2020 at the Sixty-sixth World Health Assembly (4). Experiences gained from planning and implementing disease control programmes in developed countries can help developing countries in addressing the growing NCD burden (5,6). Two theoretical concepts through which population-based cancer/NCD control might be enhanced are capacity-building (CB) (7,8) and communities of practice (CoP) (9–12). The recent Sixty-sixth World Health Assembly (WHA) also called upon members to focus efforts on building capacity and approved a resolution calling on all Member States to put in place plans to control cancer and NCDs (4,13). Tracking progress of CB can be done through three types of indicators: service development, sustainability and increased problem solving capacity (14). Communities of practice foster the exchange and sharing of problems, insights and solutions between participants from low-, middle- and high-income countries through collaborations and establishment of partnerships to address mutually desirable goals. CoPs may develop from these partnerships, but vary greatly from informal networks to formal structured teams. The core elements that develop and sustain a CoP are a sense of belonging, participation and collaboration (9,10,12,15). International Cancer Control Congresses (ICCCs) present a forum where participants share knowledge, experiences, approaches and best practices that can enhance the implementation of sustainable population-based national cancer control strategies and, more broadly, noncommunicable disease (NCD) agendas. Congresses (1) may foster engagement between low-, middle- and high-income countries through involvement of diverse individuals in the congress committees and activities. ICCCs have provided a “natural experiment” to assess whether a meeting addressing a significant global health challenge can improve policy and practice related to cancer control. ICCCs deploy a logic model to determine why and how congresses are being conducted as well as their desired outcomes. The logic model builds upon past Congress experiences to understand how participant behaviours and activities influence population health and disease control, to enhance capacity, strengthen alliances and promote concerted efforts to address risk factors for cancer/NCD prevention and control. The model specifies a set of measurements which are useful for assessing the planning and execution of the ICCC. Figure 1 illustrates how the ICCC encourages action by influencing changes in (a) participant activities and behaviour, including their role in enhancing population-based cancer control, (b) establishing an appropriate agenda promoting collaborations and partnerships, and (c) raising awareness of participants to the importance of developing, implementing or strengthening national cancer control programmes. This awareness contributes to stimulating efforts undertaken to address cancer along the cancer control continuum. Short-term outcomes include host country/region demonstrating increased commitment to cancer control, preparation of scientific manuscripts for publication, etc. The long-term expected outcomes include an increased global outreach and collaboration and initiation of mechanisms to help countries develop and implement cancer control action plans or programmes (16–18). Typically, evaluation of congresses addresses logistical arrangements, information perceived to be learnt by participants and how the information was provided at the congress (19–22). However, few address the short- and long-term impact using an evidence-based approach. This paper assesses whether ICCCs affect individual behaviours/activities, whether individuals from differently resourced countries see a different “value-add” of the congresses and, finally, if or how much of the change in behaviour/activities can be attributed to participants having attended the Congress (23). The study was conducted between November 2009 and January 2012 on 362 individuals participating in the Third ICCC and 310 participants from the Fourth ICCC. The study explored the Congresses’ influence on changes in participants’ activities and behaviours, formation of communities of practice (CoPs), knowledge transfer and development/ implementation of national cancer control plans. The study design involved conducting a self-reported questionnaire survey at the ICCCs to individuals registered on the database. The unit of analysis for the study was individuals participating in each of the Congresses. To confirm changes in behaviour and activities of the participants an on-site survey was followed two to three months post-Congress by a follow-up survey conducted on the same group of registered Congress participants. The first survey was conducted on-site at ICCC–3 in November 2009. A follow-up survey was conducted using a mailed, self-administered electronic questionnaire. The third survey was conducted at ICCC–4 on-site in November 2011. This was followed by the fourth and final follow-up survey. These surveys helped to understand the impact of the Congress on the participant activities and behaviours and their influence in turn on cancer control planning and implementation (24). For details refer to Table 1. This was a series of cross-sectional studies as different individuals attend each Congress with little overlap between the participants. The follow-up surveys did not link the original respondent to his/her earlier answers. The study had two sets of individuals with few attending both Congresses. data during the interpretation/ analysis – a variant “triangulation design-validating quantitative model” (25–30). The on-site and follow-up surveys had 26 and 33 questions respectively. They sought brief demographic facts, perceived benefits of congress attendance, the impact of the congress at an individual, organizational and country level and information about the participants’ experience at the Congress generally, using a five-point Likert scale. The data was analysed using the statistical package SPSS Statistics 17.0. Univariate and bivariate analyses were conducted for each of the surveys to explain the distribution of responses and determine the statistical significance of relationships between variables. The study used cross-tabulation and Pearson’s chi square tests for determining if a statistically significant relationship existed. Primary data were supplemented with secondary data that included Congress publications and recent country profiles published by WHO. The secondary data obtained from Congress Proceedings, the Congress Analysis Reports, WHO NCD Country Profiles (31) and other appropriate web-based publications was used for qualitative analysis with NVivo 9. Findings from the univariate analysis from the four reports and the supporting qualitative data revealed over 60% participants were from high-income countries and there was a large representation from the country where the meetings were held. At ICCC–3, 24% (n=86/362) were from Italy and at ICCC–4, 48% (n=150/310) were from the Republic of Korea. The largest group of participants was researchers and scientists, followed by clinician/physicians. Over half the participants were from governmental organizations and 7–14% of these were policy-makers. The next predominant representation was from nongovernmental organizations (NGOs). Over 45% of the participants had worked in cancer control for more than 11 years. “Improved understanding of population-based cancer control programmes globally” and “new insights into cancer control strategies and population-based systems” were the two primary professional gains for participants in all four surveys. In the follow-up surveys, 88% and 93% participants in ICCC–3 and ICCC–4 respectively expressed being influenced to “some extent” by the Congresses, indicating that a large proportion of attendees participated in activities/ programmes related to cancer control as a result of the Congress. When asked if their involvement and interest in cancer control had changed after ICCC–4, 73% stated the change in interest and involvement was “more than before” but 26% indicated that it did not change at all. A majority (83% following ICCC–3 and 95% following ICCC–4) found that their cancer control work had benefited by attending the ICCC. Also, after each of the congresses participants “agreed to strongly agreed” that the Congress had provided a platform for knowledge exchange for cancer control and had helped them primarily with creating collaborations (83%), sharing best practices to develop cancer control plans and with raising awareness of cancer control. More than 50% (ranges from 50–91%) of participants in the follow-up (1) to ICCC–3 and ICCC–4 stated that they had used the knowledge gained from ICCC from “some to a great extent” in sharing new information, developing new partnerships, following new contacts, applying new insights to cancer control planning, strengthening advocacy or policy work and applying new insights to prevention programmes. Eighty-five percent of participants shared the information with colleagues post-Congress. large proportion of attendees participated in activities/programmes related to cancer control following Congress attendance. Nearly three-quarters (73%) of respondents to the ICCC–4 follow-up survey reported that their interest and involvement in cancer control increased as a result of Congress participation. An analysis demonstrated that an association exists between the satisfaction expressed with ICCC–4 and the subsequent pursuit of direct follow-up plans as a result of the Congress. It revealed that those expressing “a great extent” of satisfaction (27 of 71) were far more predisposed to pursuing follow-up plans “to a great extent” than those who indicated satisfaction of only “to some extent” or “not at all” (4 of 39 cumulatively). Participants who expressed satisfaction with the Congress were in the majority compared to the 3% of respondents who expressed being “not at all” satisfied (p=0.001). Participants’ desire to be aware of the current state-of-the-art clinical and scientific content provided at the Congress was associated with their contribution, opportunity and ability to raise awareness of cancer control in their country. Of the 105 respondents, 86 (82%) came to participate in ICCC–4 to be aware of the current state-of-the-art clinical and scientific cancer control content. Sixty-three percent of this subgroup “agreed” and 26% “strongly agreed” that attending ICCC–4 helped them in contributing to and creating a way to raise awareness of cancer control in their country. Nineteen (18%) of the 105 respondents did not identify the awareness of current clinical and scientific content as a priority for attendance; 42% of this subgroup “agreed” that attending ICCC–4 helped them in contributing to and creating ways to raise awareness of cancer control in their country (p=0.004). Figure 2 identifies the specific activity participants said that they would most likely do with the information gained at ICCC–4. From the ten shortlisted activities, 25% of participants said they would share information gained from ICCC with colleagues, 9% indicated they planned undertaking new research, 13% intended applying new insights to prevention programmes, 5% would apply new insights to clinical practice, 1% planned applying new insights to palliative care, 15% applying new insights to cancer control practices, 3% would strengthen advocacy or policy work, 16% deliberated following up with new contacts, 9% planned developing new partnerships or collaborations and 5% would seek philanthropy/foundation funds/establish charitable connections. In the ICCC–4 follow-up survey participants were asked to self-report actions they had said they would undertake at the Congress. Over 50% of participants reported having used the knowledge gained from ICCC–4 to some extent in all the parameters mentioned in the figure. Nearly a quarter of participants used the information to a “great extent” in applying new insights to cancer control planning, sharing new information, following up with new contacts, applying new insights to prevention programmes, increasing advocacy and developing new partnerships. When questioned whether their involvement and interest in cancer control had changed after ICCC–4, 60% participants said “to some extent” and 33% said “to a great extent”. Income level of country of work (low-, middle- and high-income) was associated with change in participant interest and involvement in cancer control after ICCC–4 (p=0.04). Of the 105 respondents, 39% were from high-income countries, 56% from middle-income countries and 5% from low-income countries. A higher proportion of respondents from low-income countries reported being interested “more than before” (n=6) and 81% respondents from middle-income countries said their interest levels in cancer control increased through Congress participation compared with 59% from high-income countries. ICCC–3 and its follow-up survey revealed that participants’ change of involvement and interest in cancer control work by attending ICCC–3 was associated with the extent to which cancer control was part of the participants’ work (p=0.044). Two thirds of respondents (66%) were more interested in cancer control after attending ICCC–3 but 34% experienced no change in involvement. After attending ICCC–3, 23% indicated that they would share the new information with colleagues, 27% said they would use it in collaborating (i.e., following up with new contacts or developing new partnerships), 7% intended to undertake new research, 12% planned to apply the new insights to prevention programmes, 6% were planning to apply the new insights to palliative care, 10% were deliberating application to cancer control work, 9% intended to strengthen their advocacy efforts and 2% were planning to establish charitable connections. Following ICCC–3, 85% of the participants have shared the information they gained at the Congress. Most applied to “some extent or to a great extent” their newly gained knowledge in parameters like undertaking new research, applying new insights to prevention programmes and cancer control planning, strengthening advocacy work, following up with new contacts and developing partnerships. Information pertaining to applying new insights to clinical practice (30%), applying new insights to palliative care (29%) and fundraising (25%) have been used significantly only by a small portion of attendees. After attending ICCC–3, a delegate from Egypt shared that the Congress inspired him to initiate a pilot programme for palliative care and another delegate identified that even though his work focus still needed to be on direct patient care, his appreciation of broader issues of cancer control had improved, as reflected in his teaching, leadership and supervision. The ready accessibility of ICCC presentations on the Congress website allowed a delegate from New Zealand to circulate reports after each Congress, summarizing key contacts, presentations and issues of interest/relevance to colleagues. A majority of participants at all ICCCs believed that the ICCCs had helped them professionally and that they had been positively influenced by attending the Congress. Survey results of ICCC–3 and ICCC–4 confirm that well over half the respondents have found the Congresses to be “successful to very successful” (86% and 68% respectively) in achieving their objectives of sharing best practices and promoting evidence to develop cancer control plans, national cancer control policies, creating ways to collaborate and raise awareness of cancer control, providing a setting for relationship building and providing a platform for knowledge transfer for cancer control. The follow-up survey results demonstrated that respondents rated ICCC–3 (84%) and ICCC–4 (83%) as having helped them with behaviours such as creating collaboration, knowledge transfer, raising awareness and sharing best practices. Qualitative findings reveal participant comments were of two types: concrete actions and personal development comments. Personal development comments ranged from the usefulness of exchanges of practical experiences, to comments on knowledge transfer. For example, IAEA–PACT shared the evolution of global activities for the Programme of Action for Cancer Therapy (PACT) and its close association with ICCCs. Only some participants shared specific cancer control activities they had initiated or participated in following the Congress through follow-up surveys. These included cancer screening programmes, advocacy for cancer control, building collaborations, establishing networks to exchange experiences and reaching out for support. Some countries were also developing, updating or implementing national cancer control/integrated NCD plans and strengthening cancer control/NCD programmes. Irrespective of the resource level of the country, respondents consistently indicated that there were ongoing cancer control activities in their countries. Brazil established a Regional Community of Practice in Cancer Control following ICCC–1 and ICCC–2 – the Latin American and Caribbean Alliance for Cancer Control (including Argentina, Brazil, Chile, Colombia, Costa Rica, Cuba, Mexico, Nicaragua, Peru and Uruguay (32) and the subsequent development of the Network of National Cancer Institutes (RINC) in Latin America (33). Formation of this alliance also led to the signing of the Rio de Janeiro Declaration, affirming regional collaboration in areas of common interest related to cancer prevention and control (32). The Cernobbio Declaration to sustain cooperation on cancer control was presented and signed at ICCC–3 (2009) by participants and shared with the European Union (EU) to highlight the need to focus and allocate funding for cancer control in Europe (17, 34). At a European level there continues to be further integration of different EU-funded projects like Eurocare, Eurochip, Eurocourse and others (35). Following both Congresses, more than 80% of participants believed they had gained new insights into cancer control strategies and population-based systems and were sharing new information with colleagues. Over 60% believed they were applying new insights to prevention programmes and cancer control and following up on new contacts. The logic model developed for the Congress served as a visual communicator that guided what should be assessed and measured and enabled exploration of a chain of cause and effect (36). Using the logic model approach (37,38) the Congress led to activities which then generated outputs, outcomes/effects/results that led to impacts. Over the period of 2005–2011, the Congresses have evolved to increasingly recognize the need for the integration of cancer and NCD control: primary, community and tertiary care; interprofessional and interdisciplinary practice; public and population health and clinical medical practice; and strategic, business and operational plans to control cancer. This study has examined the value attained through Congress attendance with respect to participant engagement in activities and behaviour that might lead to enhanced population-based cancer control. A conclusion supportive of the Congress enabling an enduring impact at an individual participant level cannot be derived. 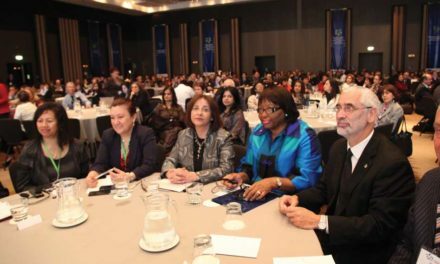 However, since alliances, memoranda of understanding, signed declarations and formalized cancer control networks have resulted from ICCC–2 and ICCC–3 at a country and/or regional level, the Congress may be perceived as a forum that has facilitated achievement of an enduring impact in the host region. Through the interactive workshops, attendees were able to assimilate ideas that they could take back and apply within their spheres of influence. Thus, most viewed ICCCs as a catalyst that highlighted and supported capacity-building efforts by countries; and promoted use of toolkits, such as the WHO Stepwise Framework (39,40) to bring change in integrated cancer/noncommunicable activities by undertaking or strengthening national cancer control planning and initiating or enhancing targeted cancer control programmes, knowledge translation and research activities. Though not all individuals identified specific activities they were undertaking, it appeared that they were at least engaged. Due to the study not being longitudinal it cannot be definitively determined whether any individual-level contacts established during the Congress actually continued to foster and give rise to concrete cooperative efforts visible in the future. However, the present study found that a significant number of participants undertook activities they said they would be doing based on the insights gained at the Congress. Examination of the information from the analysis did support that ICCCs influenced reported changes in activities and behaviours of participants. It was difficult, however, to determine the extent of the influence on the demonstrated changes in behaviour and activities and the extent and sustainability of the resulting actions or knowledge translation measures on population-based cancer control programmes and collaborations. Interpretable constraints include the limited time available for the current study and the cross-sectional design rather than a prospective, longitudinal cohort study. The present study found that attendees from low- and middle-income countries were more satisfied with the Congress than attendees from high-income countries. Over 60% of the participants following both Congresses found their involvement and interest in cancer control had changed; over 50% of participants expressed that their level of interest and involvement in cancer control was to some extent influenced by attending ICCC and over 30% experienced an increase in their network/collaborations following ICCC. Correlation with country resource levels confirmed that attendees from low- and middle-income countries experienced a greater change, were influenced by ICCC to a greater extent and there was a greater increase in their collaborations/networks. Inferentially, participants from low- and middle-income countries may derive greater value from experiences relevant to developing, resource-constrained nations. This study affirms that ICCC provides a forum for knowledge transfer/exchange. 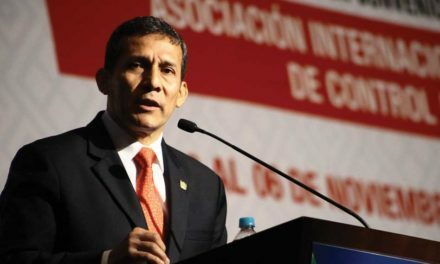 Participants noted that after each congress, they have continued contact with individuals from whom they have sought advice or information as a result of meeting them at the Congress. Attending ICCC has provided the opportunity to be able to step outside of national and organizational contexts and reflect on key issues from an international “system” perspective. Most of the respondents gained professionally in improved understanding of global population-based cancer control programmes and new insights into cancer control. The importance of national cancer/integrated NCD plans and the value of increasing networks was reinforced. This study demonstrated that discussions at the Congresses contribute to transfer of knowledge among participants and bring the focus and raised awareness to the needs and benefits of population-based cancer control initiatives and NCCPs. Through raising the profile of NCCPs, stakeholders have realized the increasing strategic importance of dealing with cancer and NCDs, as reflected in the UN-ratified Global Action Plan (4). The findings from this study provide information to strengthen the value of health care congresses. The derivation of a congress logic model may serve as a useful framework for other global conferences. In conclusion, through use of a logic model approach, ICCCs have demonstrated the importance of evaluation of a congress in relation to defined objectives. Logic models require minimal resources yet provide the necessary details required for planning an effective congress and facilitate a clear understanding of desired outcomes, future challenges, current resources and timelines (36–38). The planned evaluation of ICCCs has revealed the value of congresses in addition to assessment of attendance, income, satisfaction with speakers and other logistical parameters. 1. Magnusson RS. Global health governance and the challenge of chronic, non-communicable disease. J Law Med Ethics. 2010;38:490-507.2. Beaglehole R, Bonita R, Magnusson R. Global cancer prevention: An important pathway to global health and development. Public Health. 2011;125:821-831. 3. World Health Organization. Global Status Report on Non-Communicable Diseases 2010. WHO; 2011. 4. World Health Organization. Draft Action Plan for the prevention and control of noncommunicable diseases 2013-2020. April 22nd 2013;Adaptation from A/67/373:1-48. 5. Nissinen A, Berrios X, Puska P. Community-Based Non-Communicable Disease Interventions: Lessons from developed countries for developing countries. 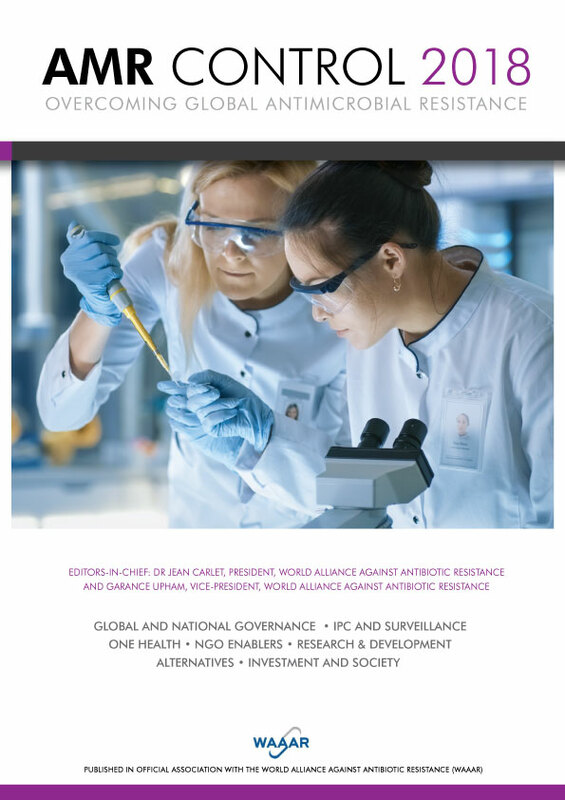 Bulletin of the WHO [serial online]. 2001;79. 6. Beaglehole R, Epping-Jordan J, Patel V, et al. Improving the prevention and management of chronic disease in low-income and middle-income countries: a priority for primary health care. Lancet. 2008;372:940-949. 7. BC Healthy Living Alliance. Community Capacity Building Strategy. September 2007. 8. BC Healthy Living Alliance. Capacity Building in Action: Learnings From The Community Capacity Building Strategy. 2010. 9. Wenger E, McDermott R, Snyder W, eds. Cultivating Communities of Practice: A Guide to Managing Knowledge. ; 2002. 10. Bandy M, Condon J, Graves E. Participating in communities of practice. Med Ref Serv Q. 2008;27:441-449. 11. Braithwaite J, Westbrook JI, Ranmuthugala G, et al. The development, design, testing, refinement, simulation and application of an evaluation framework for communities of practice and social-professional networks. BMC Health Serv Res. 2009;9:162-162. 12. Andrew N, Tolson D, Ferguson D. Building on Wenger: communities of practice in nursing. Nurse Educ Today. 2008;28:246-252. 13. United Nations. Political Declaration of the High Level Meeting of the General Assembly on the Prevention and Control of Non-Communicable Diseases. September 2011;A/66/L.1:1-13. 14. Hawe P, Noort M, King L, Jordens C. Multiplying health gains: the critical role of capacity-building within health promotion programs. Health Policy. 1997;39:29-42. 15. Li LC, Grimshaw JM, Nielsen C, Judd M, Coyte PC, Graham ID. Use of communities of practice in business and health care sectors: a systematic review. Implement Sci. 2009;4:27. 16. Sutcliffe SB, Micheli A, eds. ICCC3 Monograph. ; Oct 2009; No. 95. 17. Micheli A, Sanz N, Mwangi-Powell F, et al. International collaborations in cancer control and the Third International Cancer Control Congress. Tumori. 2009;95:579-596. 18. ICCCA. 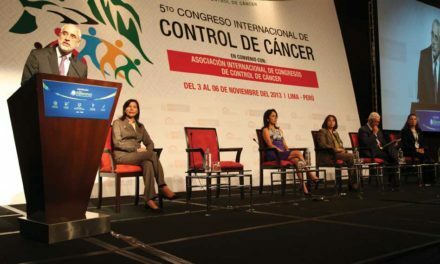 The International Cancer Control Congress : Contextual Information. 2011. 19. Clickner DA, Martin MA, Newton M, Yablon DH. Nursing research conferences: benefit or burden. J N Y State Nurses Assoc. 1998;29:9-12. 20. Chalmers JP. The National Consensus Conference–not always what it seems. Blood Press. 1994;3:4-6. 21. De VB. Value and usefulness of a collaborative information sharing forum: Findings from the ‘Common Ground’ conference evaluation activities. J Drug Iss. 2002;32:849-863. 22. Guinan PD, Imperato JP, Chmiel JS, Vogelzang NJ, Sylvester J. Cancer conferences. Can they be improved? Cancer Pract. 1997;5:305-308. 23. Weber M. Selections in Translation. ; 1991. 24. Sarwal K. International cancer control congresses : do they make a difference? Vancouver: University of British Columbia; 2012. 25. Creswell JW, Plano Clark VL. Designing and Conducting Mixed Methods Research. Thousand Oaks, CA: Sage Publications; 2007. 26. Teddlie C, Tashakkori A. Major issues and controversies in the use of mixed methods in the social and behavioral sciences. In: Tashakkori A, Teddlie C, eds. Handbook of Mixed Methods in Social and Behavioural Research. Thousand Oaks, CA: Sage Publications Inc.; 2003:3-51. 27. Jenkins JE. Rural Adolescent Perceptions of Alcohol and Other Drug Resistance. Child Study Journal. 2001;31:211. 28. Crabtree BF, Davis CM, Gilbert CS, et al. An ounce of prevention? Evaluation of the ‘Put Prevention into Practice’ program. J Fam Pract. 1996;43:361. 29. Elliott MS, Williams DI. A qualitative evaluation of an employee counselling service from the perspective of client, counsellor and organization. COUNS PSYCHOL Q. 2002;15:201-208. 30. Pagano ME, Hirsch BJ, Deutsch NL, McAdams DP. The Transmission of Values to School-Age and Young Adult Offspring. Journal of Feminist Family Therapy. 2003;14:13-36. 31. World Health Organization. Noncommunicable Diseases Country Profiles 2011. WHO Publications. 2011. 32. PAHO. Fact Sheet: New Alliance For Cancer Prevention and Control. Available at: http://www.paho.org/english/ad/dpc/nc/pcc-fact-sheet-new-alliance.pdf. Accessed April/6, 2012. 33. UNASUR. Network of National Cancer Institutes. Available at: www2.rinc-unasur.org/wps/wcm/connect/RINC/sitehome/. 34. Micheli A. Cernobbio Declaration. Available at: www.tumori.net/it/brochures/document/F_REPORT2.pdf. 35. Micheli A, Baili P. European Cancer Health Indicator Project (EUROCHIP-III). April 2010:1-85. 36. Lenihan H. Enterprise policy evaluation: Is there a ‘new’ way of doing it? Eval Program Plann. 2011;34:323-332. 37. Hayes H, Parchman ML, Parchman ML, Howard R. A logic model framework for evaluation and planning in a primary care practice-based research network (PBRN). Journal of the American Board of Family Medicine: JABFM JID – 101256526. 0908. 38. O’Keefe CM, Head RJ. Application of logic models in a large scientific research program. Eval Program Plann. 2011;34:174-184. 39. World Health Organization. Cancer Control: Knowledge Into Action – Prevention Module. WHO; 2007. 40. Epping-Jordan J, Galea G, Tukuitonga C, Beaglehole R. Preventing chronic diseases: taking stepwise action. Lancet. 2005;366:1667-1671.